Mention Shakespeare and you’ll get one of two reactions. You’ll either be greeted with a cacophony of groans, with people recollecting the tiresome trudging through texts and sonnets in secondary school or their face will light up as they recount their favourite line and verse with gusto ol’ Olivier would be proud of. Whatever your opinion, there’s no denying that the bard from Birmingham (okay, okay- strictly he was from Stratford-upon-Avon but grant us some artistic license here) was instrumental in shaping our modern cultural and linguistic landscape. 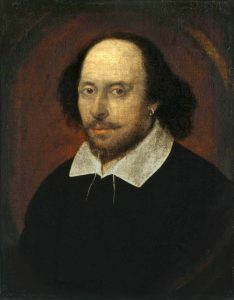 It’s estimated that Shakespeare introduced over 1700 words to the English language, let alone the many turns of phrase that have entered modern parlance thanks to his fair quill. To celebrate Shakespeare week, we’ve taken a look through some of his best-known utterances and uncovered how they still have surprising resonance to both contemporary creative industries and businesses alike. 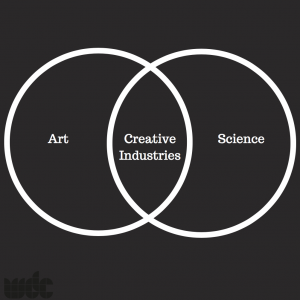 The creative industry is a curious beast. Whilst coming up with creative design and campaigns requires certain artistic flair, most people within the industry will tell you that the processes requires an almost scientific rigour to ensure that campaigns deliver real results. Underlying any good creative organisation’s approach to a brief, whether they are graphic designers, copywriters, marketers or the like, is a strong and informed methodology. The beginning of any creative brief should start with the firm setting of client’s aims, goals and objectives. Only by understanding exactly what the client is wishing to accomplish can you begin to formulate creative that can support them to achieve it. It’s vital that everyone involved in the project, from designers to marketers, finance to the communications department are all aware of the client’s KPI’s and goals so that all output is pulling in the same direction. Gone are the days where businesses can get away with being large, faceless entities. In the digital age, customers expect businesses to be both accessible and, most importantly, personable. The financial crisis of 2007 put an end to the public’s acceptance of large co-corporations conducting themselves out of sight and without consequence. Increasingly, businesses are turning their attentions to the importance of open, transparent and honest customer relations across their multiple touch points. Demonstrating transparent working practices and showing willingness to admit mistakes is essential if businesses want to fulfil their customer’s demand for more human-centric approaches. 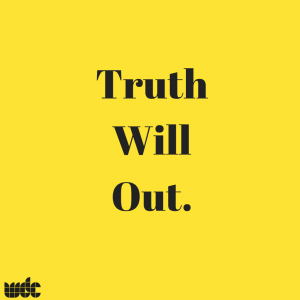 A slight tweak here, the odd white lie here and there- we’re all guilty of slightly bending the truth to suit our needs but for businesses, when it comes to building a loyal client base, honesty is always the best policy. It may be tempting to align your product or service with the latest ethical or political movement but, unless you can demonstrate that you genuinely meet those criteria, it’s indefinitely better to steer well clear of them. Your audience isn’t naïve. A quick on-line search will reveal more details about your organisation that perhaps even the MD is aware of and, if an audience begins to smell a rat, you can bet your bottom dollar than not only will they leave your ship to sink but they’ll use social media to verbalise and share their anger, making your company hit that seabed even quicker. Being honest about what your product or service can and can’t do will demonstrate to customers that you are trustworthy- a key metric of any organisation looking to secure longevity. A good creative agency will work with you to establish a brand tone and visual identity that celebrates your strengths, producing copy and design that speaks to your target audience in an honest, transparent and trustworthy way. Unicorns, cronuts and tear-jerking Christmas adverts– what starts out as a marketing dream can often turn into a consumer nightmare as agencies churn out cookie-cutter campaigns. In the fast moving digital age, trends age quicker than ever before. What is fresh and innovative one week will quickly become tired and overused the next as companies attempt to latch onto the latest #trend by projecting a tirade of gifs, merchandise and creative output into the Twittersphere. 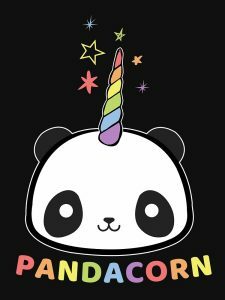 Whilst it may be tempting to jump on the glittery unicorn/ pandacorn (yes, people- it’s a real thing) bandwagon, firstly ask yourself -does this approach really align with my organisations brand identity? If not, then adopting the latest tired trend will, at best, result in you becoming yet another eye-roll and scroll past in a potential customer’s day and, at worst, risk alienating your loyal core-audience entirely. It may just be the case that, sometimes, you can gain far more attention and credence being the donkey in a sea of unicorns. There we have it. Who would have thought that ol’ Shakey could talk so much…sense! To borrow from the bard once more, “parting is such sweet sorrow”. If you’ve enjoyed reading this and want to chat with a friendly, knowledgeable and experienced creative agency then get in touch- we’d love to hear from you!